Start with the local Township Assessor who placed the assessment on your property. You may visit the office and review your property record card and check for errors in the physical characteristics of the property. You may also review other assessments & property record cards in your neighborhood to check for equity. Finally, you will be able to review sales of properties in your neighborhood. If after reviewing the physical data, the assessment data, and the sales data, you still believe your are over assessed, you may discuss the assessment with a trained Deputy Assessor who will either revise the assessment or explain to you why the assessment is correct. 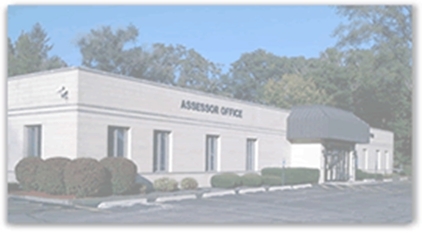 File an assessment appeal form with the County Board of Review if you disagree with the Assessor's valuation. You must be prepared to prove the market value of your property or demonstrate how your valuation is higher than similar properties in your area. A hearing date will be scheduled and evidence will be presented by both you and the Assessor's Office to the Board of Review hearing officer. The hearing officer will make a ruling based on the evidence presented at the hearing. You will be notified in writing of the decision. You may have an attorney represent you, however it is not required. File an appeal with the Illinois Property Tax Appeal Board if you disagree with the decision made by the county Board of Review. Again, you must submit evidence, including photos of the property, sales contracts, appraisals, or any other pertinent data that will support your opinion of value. The Assessor and Board of Review will also be required to provide evidence supporting their opinion of value. You may have an attorney represent you, however it is not required. A hearing will be held and a decision will be made based on the weight of the evidence presented, and you will be notified in writing of their final decision. The best evidence to value is a recent appraisal, a recent sale of the property, or recent sales of similar properties. Be sure to review your property characteristics at the assessor's office BEFORE filing an appeal. Understand that Fair Market Value is not the highest or lowest selling price of a property but the most probable selling price. When comparing properties in your area, use only similar properties (i.e. same design, same size, etc.). Board of Review Appeal Forms and Property Tax Appeal Board Appeal Forms are available at our office. Copyright © 2013 - 2019 Bloomingdale Township. All rights reserved. Site by JRM Consulting, Inc.